Blog | April 2015 | Love to Craft? Fancy Joining the Trimcraft Design Team? Love to Craft? 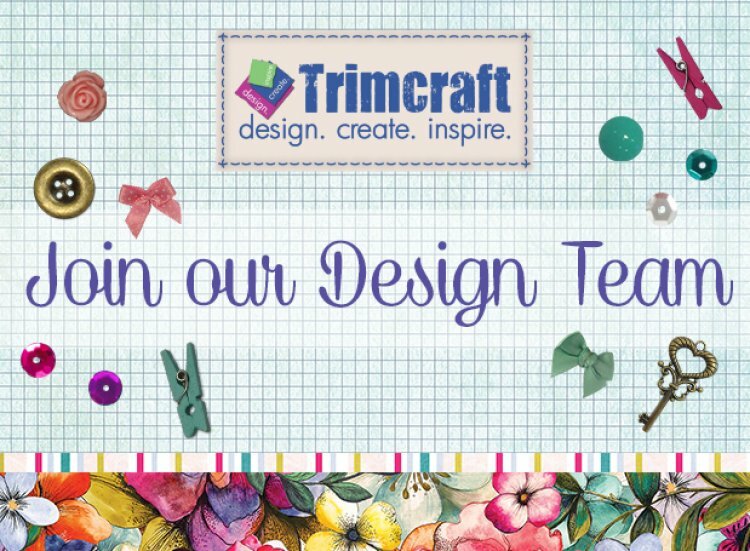 Fancy Joining the Trimcraft Design Team? We are looking for new crafters to join our talented design team. You will have the chance to design key projects for our website and social media to inspire other crafters. As a design team member, you will receive the latest paper collections from well know brands such as First Edition, Dovecraft, Me to You, Santoro and Me to You before anyone else. "As a relative newcomer to the design team (since October) I have found everyone to be really welcoming, friendly and supportive. I absolutely adore the Trimcraft products and it's so great to be able to work with brand new and exciting launches, knowing that they are such fab quality too makes me thrilled to be associated with the brand, and I look forward to the post arriving with regular crafty goodies." We are looking for people who love to create and use their imagination to make something different, if you think you fit the bill then don’t delay, here’s how you enter. Upload 3 of your best papercraft projects to our project gallery using the title TC Design Call, you don’t have to use Trimcraft products, but it would be nice! We have also set up a page in the forum where you can introduce yourself to our forum members. We would love to hear a bit about yourself, your projects and why you think you should be apart of the design team. Remember to include links to your blog if you have one.